Photo by Pixabay "How to Get the Best Travel Photography"
We all have places we want to travel, whether it's in our own country or somewhere more exotic. Some of us are planning on a trip that will happen soon, and others have been scheming on it for months. While we've waited for the vacation to commence, we've stored up ideas and pictures in our head of what it will look like. What sights we'll see and people we'll meet. And we want to make sure we have the right camera to capture those moments, so we don't just keep those pictures in our heads. If you've traveled in the past, whether long or short term, you probably took quite a few photos. They may be great scenes by the beach or the mountains or little villages. But when you see other people's pictures from travel, your pictures don't seem as wonderful and beautiful. You might have memories to look back on or share with friends and family, but they're not the quality you want them to be. Now you're looking through the internet, researching what might be the best camera. You want something that's travel friendly, but you also want something that won't just be another digital camera. And there's no need break the bank just to have a camera that will provide quality. Photo by Pixabay "Travel Photography"
A lot of high quality cameras like DSLR (digital single lens reflex) cameras are big and bulky and don't really help if you're travelling on vacation. You want something that will give you more space in your suitcase and not take up extra room. And when backpacking, you need all the room you can get. You've minimized enough space with your clothing and shoes and hygiene products, that throwing out something you need for a big camera is not the way to go. The Fuji x100s is very compact and silent for travelers. And as for appearance, it looks like a film camera, which is can be fun. 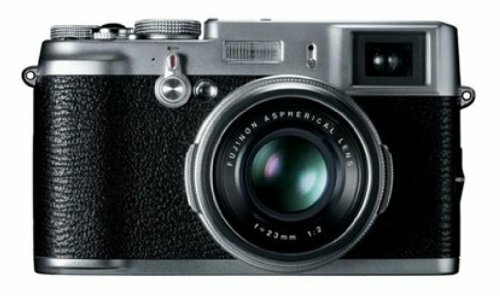 The x100s is an older model, so you can get it for a good price, especially if you're willing to buy it used. Some can get it on eBay or Amazon for around $700, but that would be in mint condition and accessories in toe. But without all the added expenses, a used Fuji x100s can run around $500 to $600, which is a great price when looking for high quality cameras. Photo by Pixabay " Using the Fuji x100s"
You don't have to be a pro to manage the Fuji x100s. It's pretty easy to use and fun to play with if you know even some of the basics about shutter speeds, apertures, and ISO. For those of you who don't know what those three features are, they are easily explained. When understanding apertures, you should be looking at your camera's lens. You will notice a small set of blades that control how much light is let in. It acts in the same way your pupils do. Too much light, they shrink. Too little light, they dilate. Except you can control how big or small they "dilate." So if you take a picture that is too dark, then all you have to do is choose a lower aperture. Apertures are measured in f-stops, so if you took that dark picture at f/7.5, all you'd have to do is lower it to a f/3.5, and your photo will come out brighter. Aperture also decides how blurry or sharp an image will be, or "depth-of-field." So if you want to take a picture of a cup of coffee with the coffee shop in the background blurry, then you would choose a shallow depth-of-field (low f-stop). But if you wanted to take a clear photo of a beautiful mountain range, then you would use a full depth-of-field (high f-stop). So again, it's like your eyes. If you focus or squint, you will be able to have a clearer vision of what you are looking at. Shutter speeds does two thing for you. Like Aperture, it controls how much light is in the photo, and determines how much blur there is with a moving object. So without going too much into detail, the shutter can be seen as a curtain in the camera that quickly roles over the image sensor. The image sensor is the digital version of film. It allows light to shine on the image sensor for a fraction of a second. So if the shutter speed is set low, let's say 1/60th of a second, and allows more light to hit the sensor, then the picture will be brighter. And if the shutter is set high to 1/800th of a second, it will allow less light to hit the sensor, giving you a darker photo. As for the blurriness or clarity of a moving object, the faster the shutter speed, the less blur. And the slower the speed, the more blur you will see. So let's say you are taking a photo of a motorcyclist in Thailand heading down the busy streets. To catch the person in mid action, the camera will need to take the picture so fast that the motorcyclist travels such a small distance that it is not noticeable in the picture. So high shutter speed gives you a darker image with less blur and a lower shutter speed gives you a brighter picture with more blur. Nobody really knows was ISO stands for, but photographers use it all the time. This term that everyone uses but knows nothing about it's meaning, uses software within the camera to control exposure to make it really sensitive to light. This helps if you are taking photos near nightfall or at night. But you want to find a happy medium, or else it can make your picture turn out grainy. Photo by Pixabay "A Great Camera for Great Adventures"
Using all three of these techniques with the Fuji x100s can give you, as a beginner, a wonderful set of photos. The best thing to do is to play around with it before your trip. Take photos adjusting each of these settings. And once you feel you have it down, then search on tutorials to better your skills so you can have the best photos to take home with you. Whenever we travel, we all take part in wonderful beautiful moments. We can either choose to live in the moment or capture it forever. Both are good decisions, but if we choose to capture, we can relive those moments more vividly. And with a good camera, such as the Fuji x100s, as our companion, we can make they appear just as how we had seen them or even better.